Magic Mike XXL – Give your mama some sugar! Do you feel like tasting some white chocolate? Will you go see the film? The film will be released on July 1, 2015. You must admit that this new trailer of Magic Mike XXL is quite amazing! Would you want to go see one of their shows, lol! The film is due in theaters July 1, 2015. Are those chaps on steroids? I doubt one can manage to sculpt one’s body like that naturally… No when McDonald’s is around the corner at least, lol! Release date: July 1, 2015. 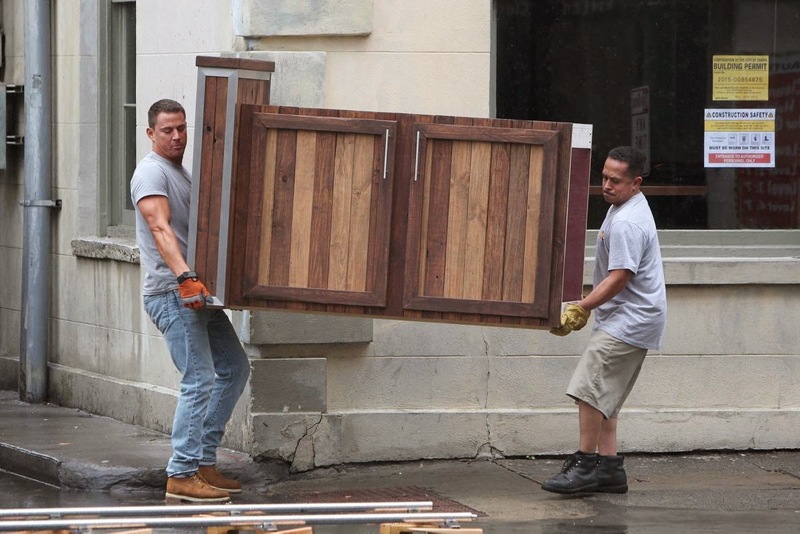 He looks like an ugly sheep gone wild… Channing Tatum is way more handsome! The film will hit theaters on July 1, 2015. I bet Channing Tatum is the reincarnation of Adonis (Phoenician demi-god of beauty and desire), lol! There’s no denying that Channing Tatum is a hell of a great dancer. And he’s handsome like a god with that! The sequel to Magic Mike is going to awesome! The release date of Magic Mike is set to July 1, 2015. The film is directed by Gregory Jacobs based on a script co-written by Channing Tatum and Reid Carolin. Stay tuned with us for more details about Magic Mike 2! In theaters: July 1, 2015. Channing Tatum is a damn handsome man, isn’t he? The release date of Magic Mike 2 is set to July 1, 2015.